Explore the world on wheels with Hertz and enjoy time-limited special offers! Hertz is the world's largest general use car rental brand and the "Best Car Rental Company" award-winner for 10 consecutive years at the TTG Asia Travel Awards. 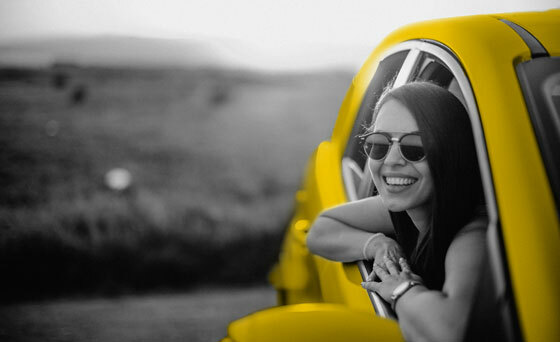 Hertz offers quality cars and a wide range of services at competitive prices through its impressive network of approximately 10,000 locations in 150 countries worldwide. Whether you are travelling for business or pleasure, you can be assured of quality cars and a wide range of services that make Hertz your first choice of car rental. Product and service initiatives such as Hertz Gold Plus Rewards®, NeverLost® customized, onboard navigation systems, SIRIUS Satellite Radio, and unique cars and SUVs offered through the company's Prestige, Fun and Green Collections, set Hertz apart from the competition. During the offer validity period, Visa cardholders may enjoy the following privileges with Hertz, all bookings and payments must be made with a valid Visa credit card. » Australia/ New Zealand | USA/ Canada | Europe | Asia T&Cs apply. With Gold Plus Rewards, booking a car has never been easier, faster or more rewarding! Join today for a complimentary membership and quote CDP# 83181 in your enrollment. Speed and Expedited Service - At over 50 of the world's busiest airports, there's no stopping at any counters. And, at over 4,000 locations around the world, simply go to the specially designated Gold counters, show your driver's license, and pick-up your keys. Selection - Reserve a specific brand and model on popular vehicles at major U.S. airport locations in select vacation locations. Mobile Gold Alerts – Sign up to receive your car confirmation details and its location instantly. Know the car you drive before you arrive. © 2019 The Hertz Corporation. All Rights Reserved. • Young fleet - Our vehicles are 1 year old on the average at most corporate locations. • Wide range of cars - From sedans to MPVs, SUVs, convertibles and more! • 24-hour roadside assistance – Whenever and wherever you are in trouble with your car, call Hertz and we will get you going as quickly as possible. • Rent it here… Leave it there – One way rentals offer you great flexibility. 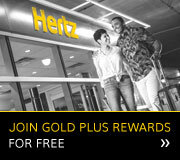 With Hertz, you can rent a vehicle from one location and drop it off at another. • Worldwide locations – Approximately 10,000 locations in 150 countries worldwide.